As you all may know by now, one of my favorite things about my job are the opportunities it gives me to support, meet and feature up-and-coming designers; I am a true believer that the cycle of fashion begins and ends with the existence of new creative minds willing to revitalize this ever so challenging industry. This month’s feature is dedicated to a new creative mind: Nour Najem. Nour is one of only four designers hand-picked this year out of many to be part of the STARCH Foundation, an initiative created by renowned Lebanese fashion designer Rabih Kayrouz and Tala Hajjar dedicated to promoting young emerging Lebanese fashion designers. 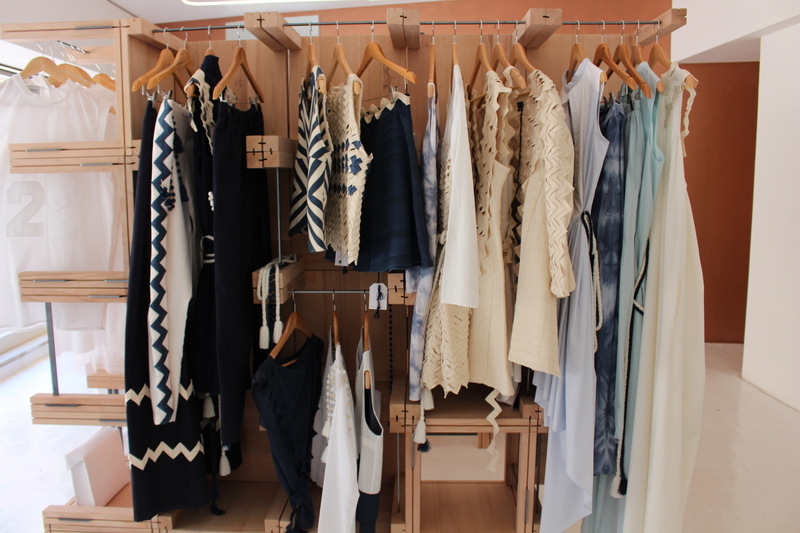 I had the pleasure of meeting up with Nour at the STARCH boutique in Saifi village where we chitchatted about her vision regarding the industry and her deep-rooted passion for what she does. The ambiance was ever so friendly with her designs hanging on display around us as I got to personally know her and understand her foresight on what this industry entails. Fashion to Nour is an artistic expression that she feels most at ease with; a means of self-expression. Her most recent collection under the name of “Nafas”, Arabic for breath, is based on going back to who we are as people behind closed doors. The zig-zags in her most recent designs are reflective of shutters that once closed allow you to go back to who you really are. The fabric she chose for this collection is most commonly used for men’s wear, rendering the pieces free of restrictions and allowing the wearer to breath and flow comfortably with no constrictions. Sharing the same opinion as many emerging designers, Nour feels the biggest challenge in the Middle East is the need to constantly prove credibility, which requires receiving the stamp of approval as a renowned international designer. One of the most things Nour would like to see in the Arab fashion world are women who are more free spirited with their selection of attire, not abiding by the restrictive desire to accentuate the female figure. However, with a positive attitude she is a strong believer that with time this notion is shifting and fashion lovers are learning to build appreciation and trust in emerging talents as well as to adopt more loose-fitted and comfortable clothing, which is internationally becoming the next biggest trend. When asked to select a piece of her collection that she feels the most attached to, Nour was reluctant to settle on one as it is clear she has a personal attachment to each and every piece of her collection. 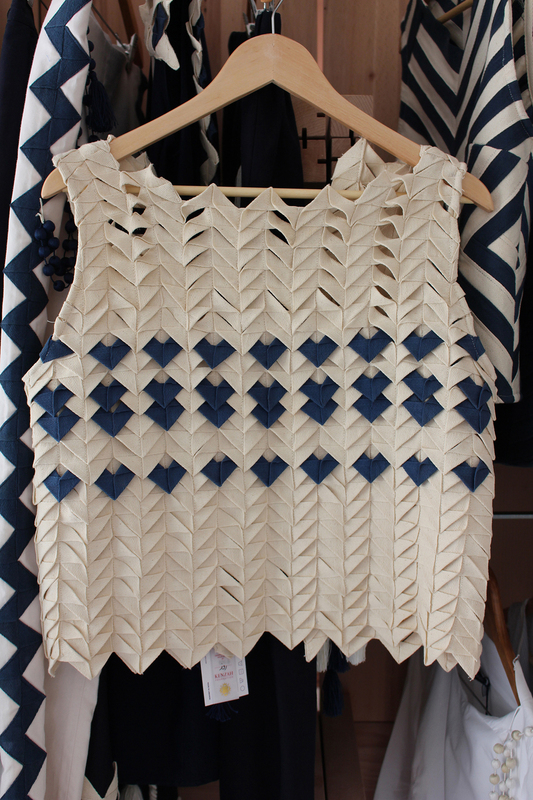 However, after some insisting from my side, she selected one of her tops that constituted the turning point for what will become the direction of her whole collection. The thing I liked most about Nour is her belief that there really are no right and wrong preferences in fashion: for what one person cannot relate to there is someone somewhere that considers it to be the strongest form of personal expression; I myself am a strong believer that fashion is the ultimate form of self-expression, a means of reading into someone’s personality without them needing to say a word. To Nour, the must haves in every woman’s wardrobe are surely the classic black dress; for that is the ultimate essential. Her pearl earrings, her rings and classic red lipstick are the three items Nour never leaves the house without. In a virtual world where Nour can host a dinner with three designers dead or alive, she was quick to name Coco Chanel, whom she truly appreciates for how she has freed women and foregone past constrictions of fashion attire. Jean-Paul Gaultier and Martin Margiella would be the other two guests on her list, for she has profound love and gratitude to them for their talent and creations. Nour Najem sees herself as a free spirit and owns up to who she is and what she has learned to become. As a lover of fashion, art and all that is creative, it was a breath of fresh air to meet and get to know whom I believe will be the next big name in Middle Eastern Fashion. 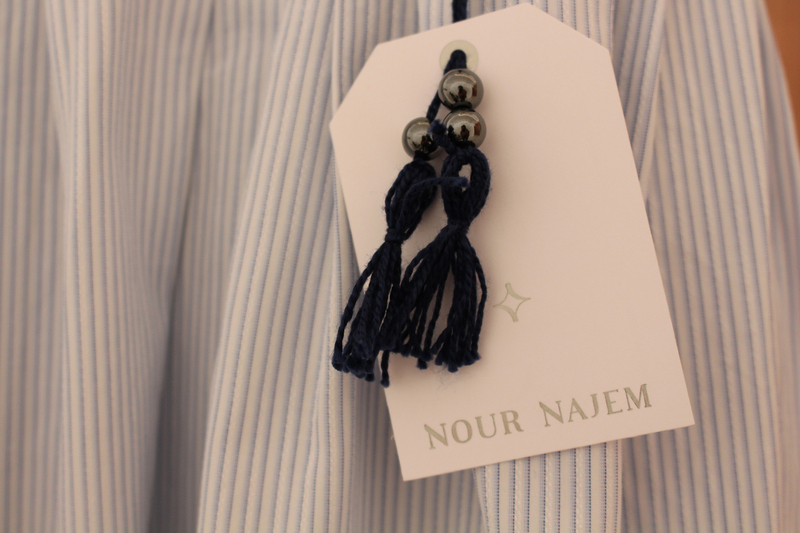 With her poised personality and deep-rooted passion for what she does Nour Najem is leading the way with her designs that are truly a stepping-stone for what new fashion today is all about. An NGO established to empower and encourage underprivileged women to learn the know-how of fine craftsmanship. Nour Najem is a very big part of the Kenzah Foundation; in which the Foundation is very much a big part of the final products.